The divide in higher education is getting starker. 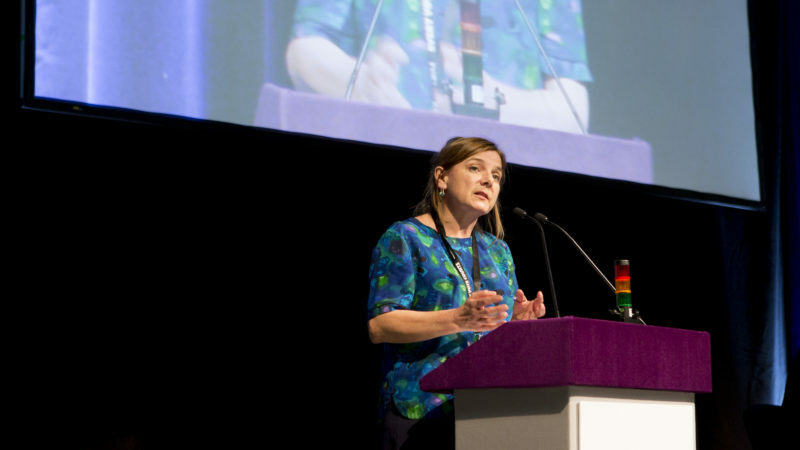 Huge strikes are on the cards unless something is done about it - and soon, writes UCU General Secretary Sally Hunt. Vice-chancellors’ pay has been in the news throughout the summer – but the headlines have got even worse in recent weeks, with tales of an £800,000 payout at Bath Spa University, a bungled resignation at the University of Bath, and efforts to obscure who is actually setting the vice-chancellor’s pay at the University of Southampton. What this whole sorry episode seems to be finally doing is shining a light on how our universities are run. We are told that guidance on who sets senior pay in universities and how will now be released in the new year. How effective that will be remains to be seen. So far, Ministerial pleas for pay restraint at the top have fallen on deaf ears for years. So it is disappointing that the universities minister only saw a handful of vice-chancellors to discuss the best ways to deal with vice-chancellors’ pay in the future. Without proper engagement with staff and students when the draft guidance is published in the new year, the new proposals risk being as toothless and open to abuse as the present set-up. At over three-quarters of UK universities, the vice-chancellor sits on the remuneration committee and three-quarters of universities refuse to publish the minutes of the meeting. Hardly open, transparent or even independent. And a poll for Left Foot Forward released today shows that eight in ten of those with a view say they Vice Chancellors should not sit on the committees that sets their pay. The figures make clear that THE current system is broken and serious change is needed. For years, when quizzed about the huge pay rises enjoyed by vice-chancellors while staff pay failed to keep pace with the cost of living, universities said senior pay was a matter for the independent remuneration committee. This is clearly an issue universities are sensitive about – as demonstrated by Southampton’s effort to obscure what committee set the Vice Chancellor’s pay and who sat on it. But anger at the upstairs-downstairs nature of higher education is not limited to pay. Universities are proposing to end guaranteed retirement payments in USS, the sector’s largest pension scheme. I have been involved in some tough negotiations over the years in higher education, including two extended periods of national industrial action in 2004 and 2006. But I can safely say that the proposal currently on the table from Universities UK to reform USS pensions is the worst offer I have seen from an employer in 20 years. The proposals will pick the pocket of a typical lecturer by more than £200,000 over the course of their retirement and will open up a near £400,000 gap between the retirement payments received by academics in post-’92 universities, who are members of the Teachers’ Pension Scheme (TPS), and Universities Superannuation Scheme (USS) members. It is no coincidence that many of those leading the attack on UCU members’ pensions have themselves left USS and made private arrangements with their university employer to receive the equivalent of their pension contributions as cash. When I say the offer is bad, I of course mean for UCU members, but it is bad too for the universities on whose behalf it has purportedly been made. We are unconvinced that all Vice Chancellors want to see their staff’s retirement income devastated, as there are those who no doubt worry what an unattractive pension will do for recruitment. Our ballot for industrial action over pensions closes on 19 January. Unless the universities row back from their current plans we will see industrial action on our campuses on a scale not witnessed before in this country. This approach and the growing academic ‘precariat’ was the inevitable outcome of the individual fees scheme which has synthesised market forces governing universities and their relative autonomy from the state. This has allowed the management of the universities to develop private enterprise remuneration schemes exacerbating inequality in both pay and terms and conditions. Labour must act on this and the abolition of fees will help to return this sector to be a very important public service. The way to deal with this (I suggest) is for the pay of University Vice Chancellors to be pegged at a % of the average pay of the workforce. Increases to be pegged at the same % (average) as those agreed/awarded to the average of employees of that particular university. BUT look out for off the wall performance pay/bonuses!! The way to deal with this (I suggest) is for the pay of UVC to be tied to the average pay increases of all other employees of the particular university. Increases in pay for UVC’s to be in line with those agreed for all other university employees. Performance related pay should be available to ALL other staff and the UVC’s should receive no more than the average of all other employees. UVC should pay for housing and only receive the same help to purchase a car as other staff BUT only when a car is a requirement for the efficient performance of the UVC’s job.eg for the efficient performance of their job. of a particular university. UVC’s should only be granted accommodation if it is necessary for the efficient performance of their duties which should be specified and applied to any other employee of the university where the criteria for a particular UVC is met. UVC.s should only have a vehicle provided where it can be seen to be essential for the efficient performance of the job. Housing for UVC’s should only be granted on the basis that he/she needs to ‘live in’ for the efficient performance of their duties and responsibilities normally on campus. In such cases the UVC should receive a ‘rebated rent’. We in the local pension scheme’s, unable to join USS initially and unwilling to transfer into USS when promoted to ‘qualifying grades’ without loosing EIGHT years of pension for one year of USS (in my case) are in a similar position, with Universities eyeing up further savings by cutting our pensions using ‘equality’ as the excuse. Some like Southampton took a pensions contribution ‘holiday’ for many years as the local scheme was in profit and spent it on new buildings etc, so now the schemes are in deficit any opportunity to avoid pay whats due is being looked at and exploited. BOHICA!